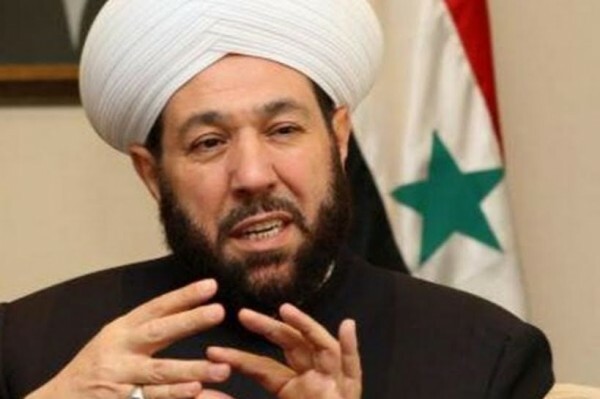 Moscow, October 31, Interfax - Supreme mufti of Syria Ahmad Badreddin Hassoun sees the danger in establishing a "caliphate," as it has happened with the "Islamic state." “Calls to set up an Islamic state are more dangerous that calls to unleash World War III,” the mufti said at his Moscow press conference. He stressed that “religion is relations between God and a person,” and it does not have anything in common with a political regimen. “When they wonder what will be with the state of “Islamic caliphate,” I ask, what state it is. I ask who of prophets commanded to establish it,” the Islamic leader noted. He also warned Russian Muslims from the similar initiatives. “I want to warn Russian Muslims: be careful, when someone tells you to set up a Muslim state. The destruction you now see in Syria show the danger of these words,” Hassoun said. According to him, 83 countries struggle against Syria today, and the Great Britain only spends 8,3 million pounds to bomb Syrian territory.